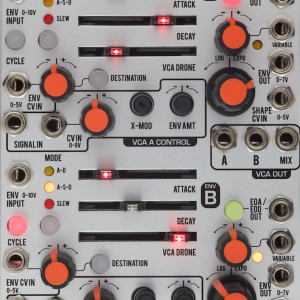 The Polivoks VCA / Envelope is a dual-function module featuring two classic analog circuits adapted for modular performance. 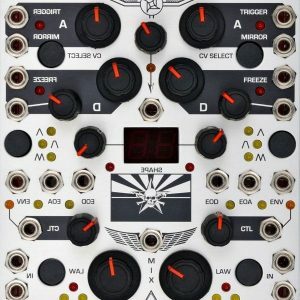 The right half of the unit is an ADSR envelope generator. 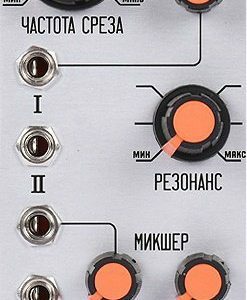 The left side is the VCA, which uses an unusual Russian amplifier circuit to perform differently from offerings of a similar vintage. 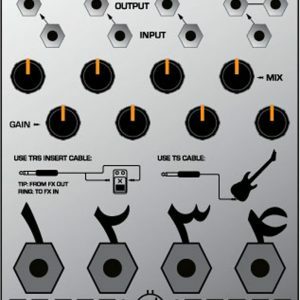 The output of the envelope is normaled to the VCA control input to facilitate typical sound designs with a minimum of patch cords. 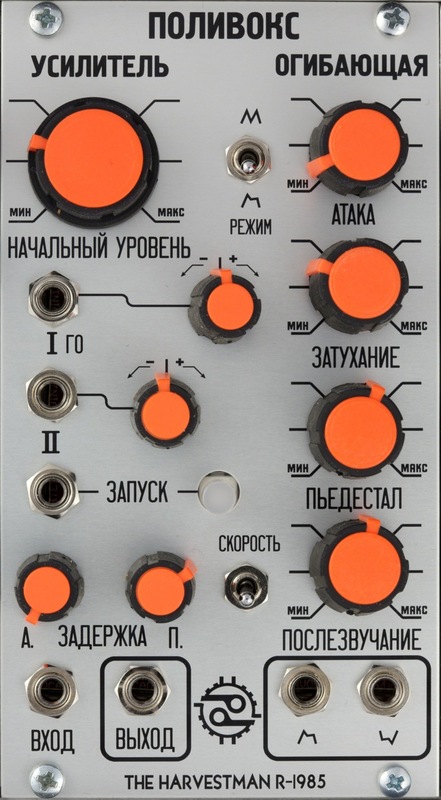 Aside from its expected service in the Polivoks IRON CURTAIN ELECTRONICS system, this module is quite useful for creating small, self-contained “voice” configurations when combined with complex oscillator or cloned tone generator modules. Only one point of calibration! The included quickstart manual has an English translation of the front panel.